I've just been informed about this musical tribute to my great-grandfather, whos song "Goodbye Johnny Dear" I covered on my last album. 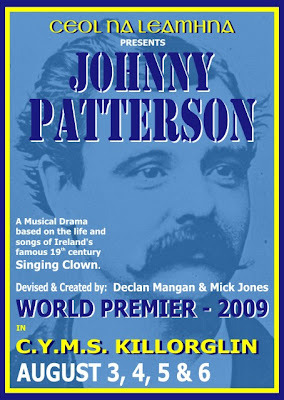 Check www.johnnyp.ie for all the details. Looking forward to what should be an interesting opening night down in Kerry. I hope the lead actor has an equally impressive moustache as himself.